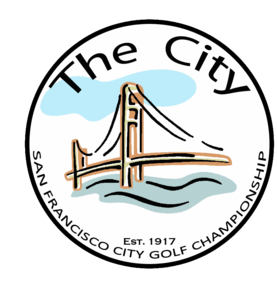 At the beginning of 1902 two men, Jack Neville and Vincent Whitney, approached John McLaren, San Francisco's steward of public parks in the early century, about the prospect of constructing a municipal golf course. Jack Neville at the time was a member of the recently formed Claremont Country Club in Oakland and was considered one of the finest amateur golfers in the country in the early part of the century. Vincent Whitney was a member of the Olympic Club and owned the Whitney Building, which stood for years on lower Geary Street. Both of these men were wealthy members of private clubs but were very instrumental in starting San Francisco's first municipal golf course. The name Lincoln Park was designated by the Board of Supervisors in 1909 as a dedication to President Lincoln, and there was no fee to play the original course. Lincoln Park was subsequently expanded to ten holes in 1914. It was not until early 1917 that Lincoln Park became a full 18 holes, and it was at this point that the first City golf tournament was played at the Lincoln Park Golf Course. The first winner was Fitzgerald Marks, the second winner Eddie O'Brien, followed by the third winner, Sam Colon Jr., who went on to become one of the City's most well known players and also one of the finest amateur players in the country. Lincoln Park still serves today as one of the sites for the SF City Championship. Lincoln Park existed as the only municipal golf course in San Francisco for a period of twenty three years. During this period of time the course underwent no less than six remodels. The numerous renovations have added an interesting element to a course, that was once a burial ground and is presently the surrounding home of a beautiful art museum. Lincoln Park Golf Course, at Lands End in San Francisco with its majestic views of the Golden Gate and the Pacific Ocean that rival any of the Monterrey golf courses, has always been a beautiful public asset to be treasured.